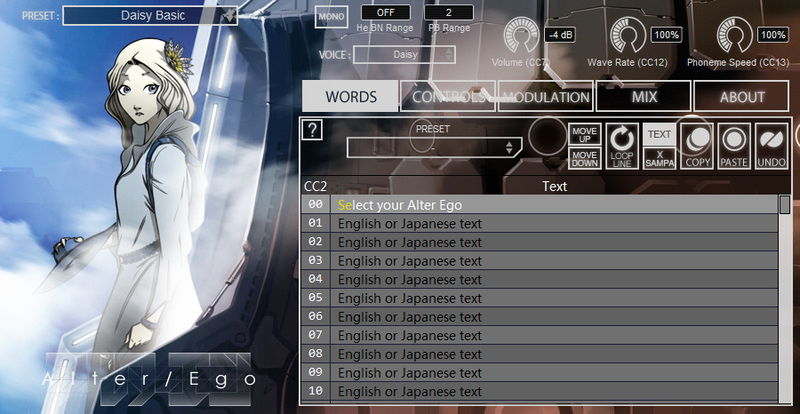 Alter Ego is a vocal synthesizer. Voice banks come in various styles and licenses. Daisy is the first free bank available.